Stewarts are incredibly capable and fun to sail, and while fast and powerful they also serve extremely well as a family cruiser. They go to windward with the best and have clocked over 20 knots in the right conditions! The quality of the racing is also of the highest standard and crew who have done their time on Stewarts have gone on to forge stellar international careers and become household names. 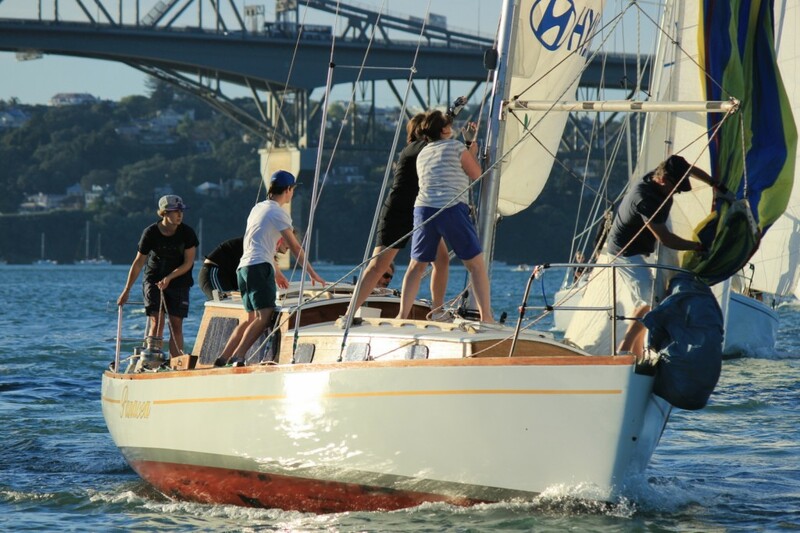 The hotly contested Stewart 34 Championship is the premier one design series in New Zealand. The level of excitement, the extremely close racing and skill required in a windward/leeward championship race make it incredibly addictive and above all fun. The championship sums up the Stewart 34 community- intense competition on the water and great socialising and camaraderie off the water. The association of owners are also a strong “family” who welcome new owners into the fold. They should expect a huge amount of support to tune the boat, get crew organised and as much help as possible to them get out on the water. Perhaps a further testament to the remarkable design is that we still have owners who have had their boats for 40 years and are still sailing regularly. A top boat can be had for under $50,000 and one that needs tidying up for much less. Both wooden and glass boats are winners with no differences in results. The class rules are intended to keep the boats affordable. Dacron sails keep the racing costs to a minimum and even without the use of so called high tech modern materials the class is vibrant and evolving with a strong and active association.